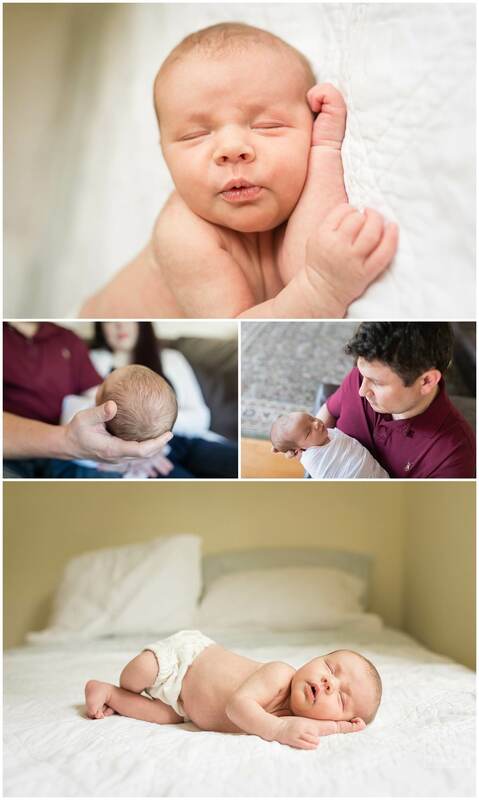 This newborn session ranks high on my list of happiest memories! Jenny & Dan called me when Pippa had just come home from the NICU–she spent some time there after being born a couple months early at about 3 lbs. 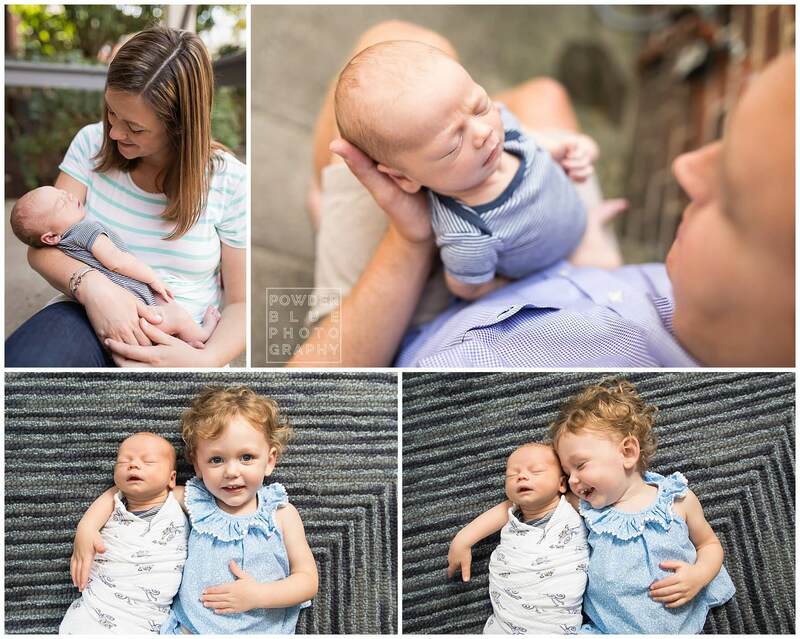 Pippa was finally approaching her due date and had almost doubled in size since birth, so mom and dad were ready to do some “normal newborn things” and have her photographed. What a celebration! Describe life with a newborn. 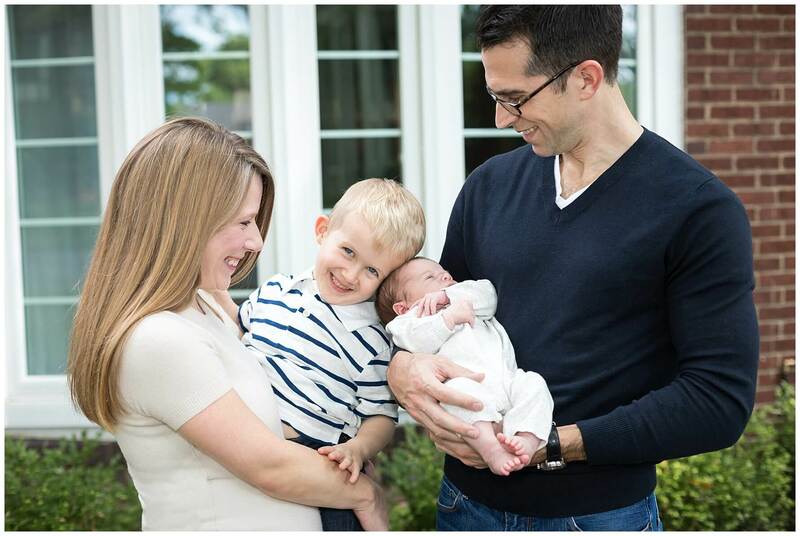 How has your life changed since giving birth? Is it like you expected or totally different? Since giving birth life is different. 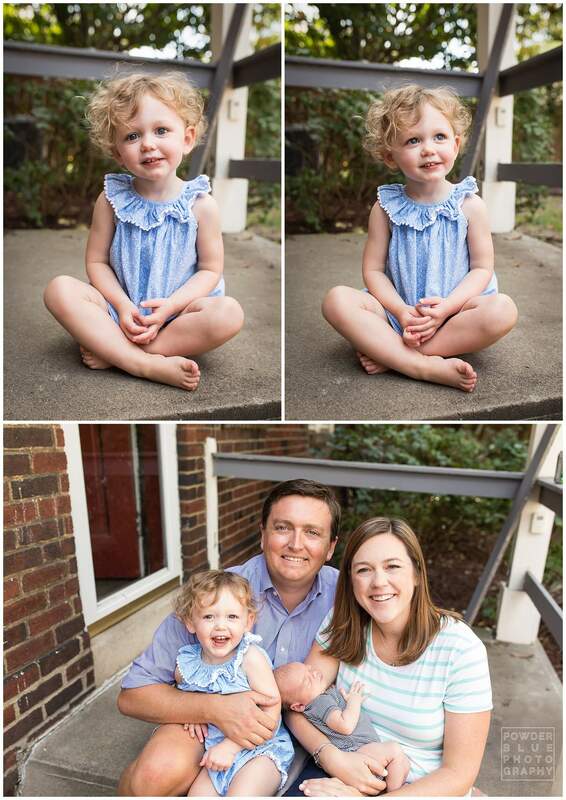 There is a slower pace to things where I am able to step back and enjoy the quiet moments with Philippa that I love. Yet at the same time I am worried it is going so quickly. She grows and change everyday before our very eyes and it is a privilege to have this experience. We are so thankful. Does baby have siblings or pets? Siblings’ ages? How did they react to baby coming home? No pets or siblings. We plan to get a dog though once the period of sleep deprivation is behind us. Ha! 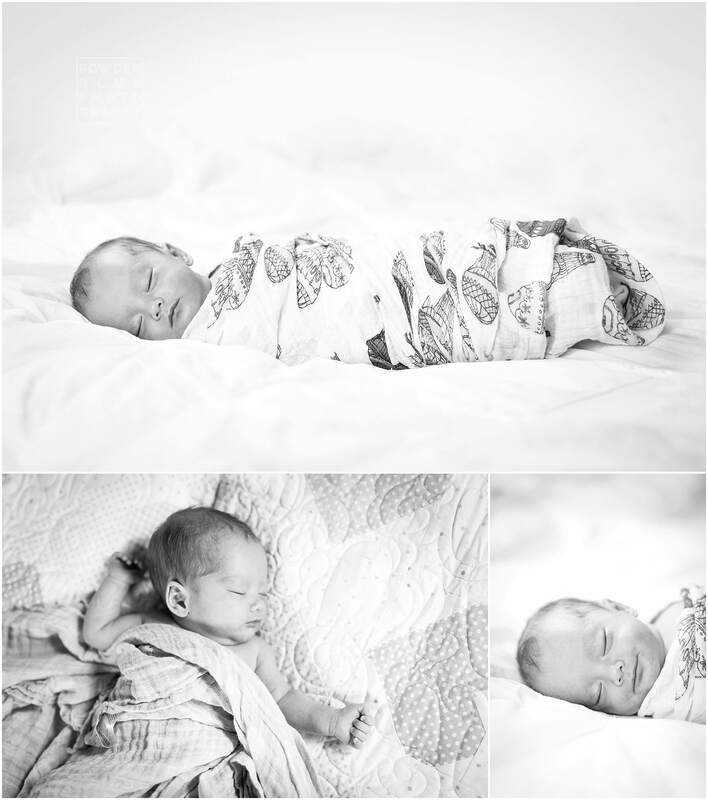 When did you book your newborn session? Why did you pick me? 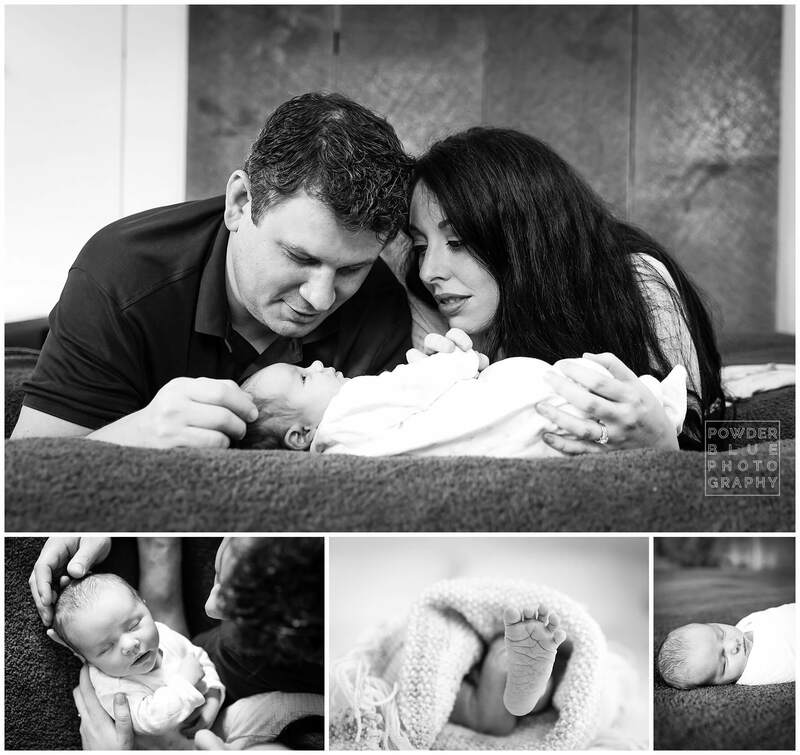 We booked the newborn session after Philippa was discharged from the NICU. 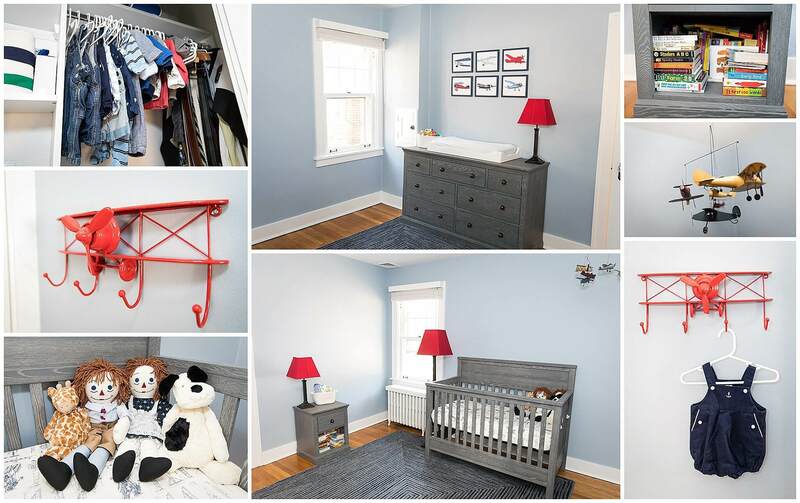 We picked Powder Blue because of the natural quality to her photos where real life is captured in the home. 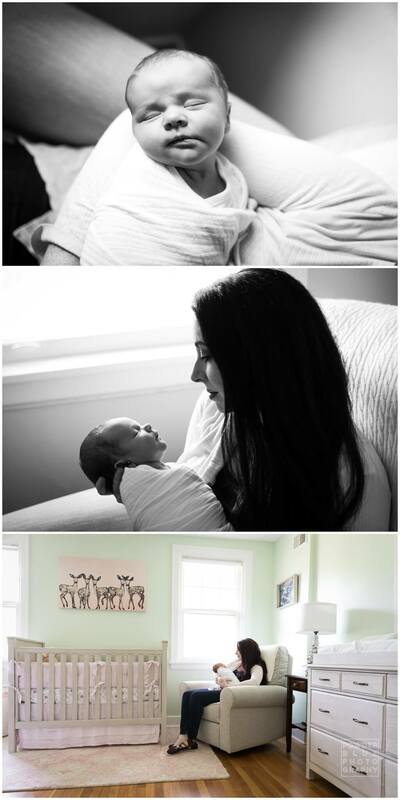 Plus, Missy understood what it meant to have a premature baby and the timing of photographs. That was unexpected and meant so much to us. 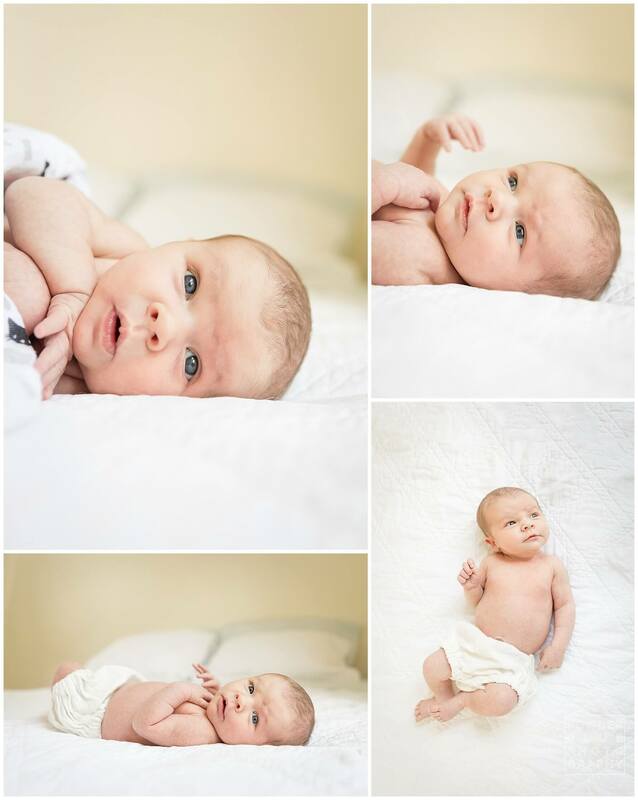 How did you prepare for your newborn session? 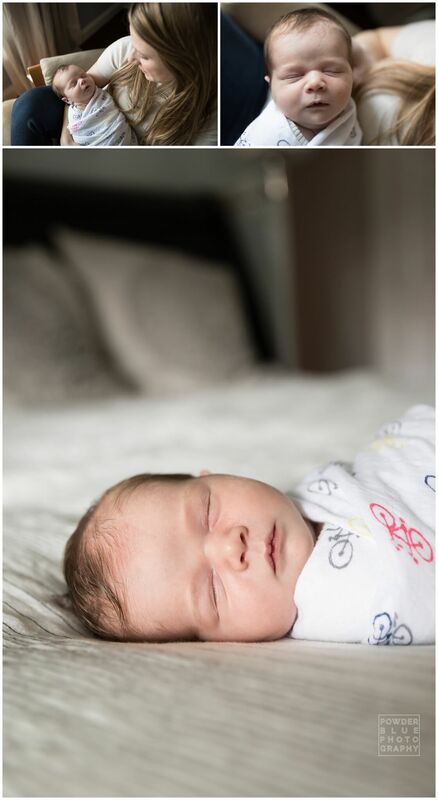 Any tips for new moms regarding newborn photography? 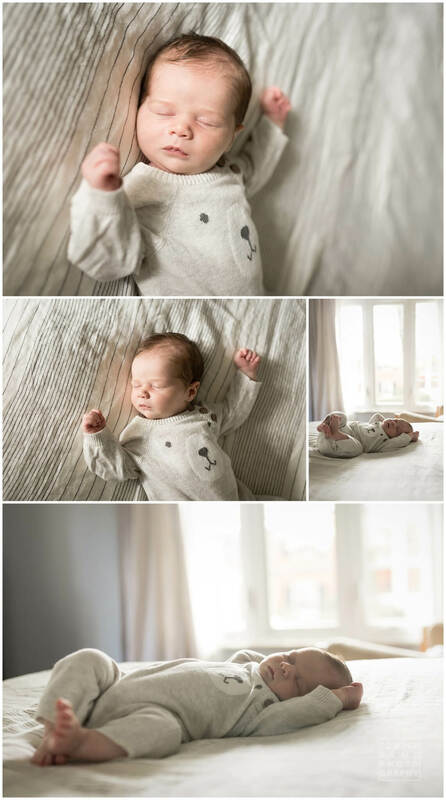 To prepare for the newborn session we made sure Philippa was fed, rested, and in an outfit she was comfortable in so we could minimize changes. Keeping the house warm was a good idea of Missy’s since that allowed Philippa to be changed easily from outfit to bundled in a wrap. Do you have a favorite image(s) from this session? Describe the image and why you love it. We really love all the images. 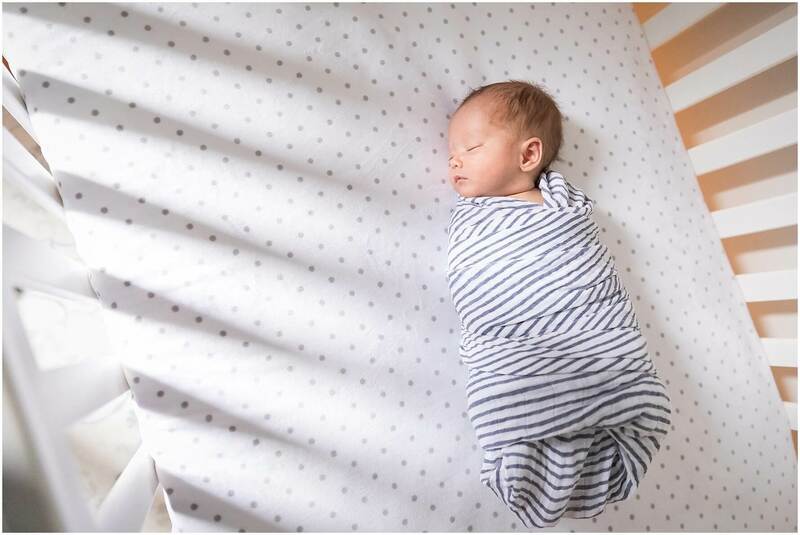 We love the image of Philippa wrapped in the parachute swaddle on the white background. She looks so peaceful and really captures the essence of her (what we think) is her sweet personality. Another favorite is one where you captured her sly smile and her blue eyes. 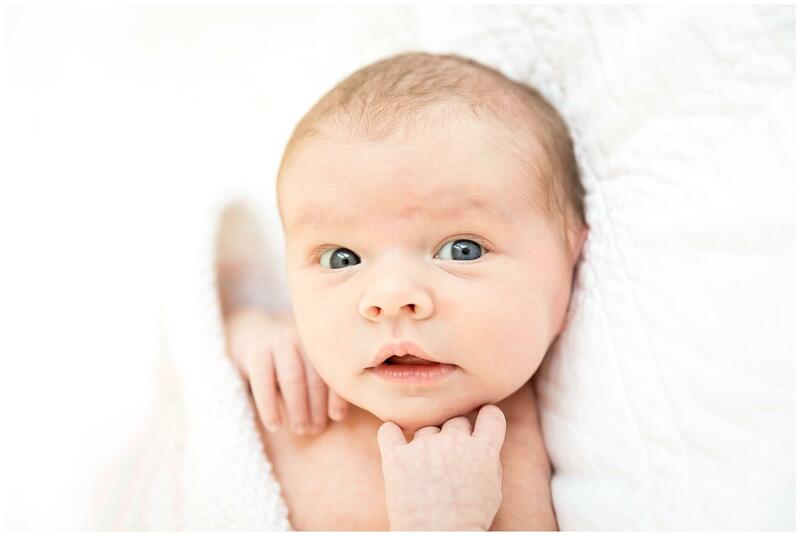 I am not sure how long her eyes will stay blue so I am so happy we captured them during her newborn period. 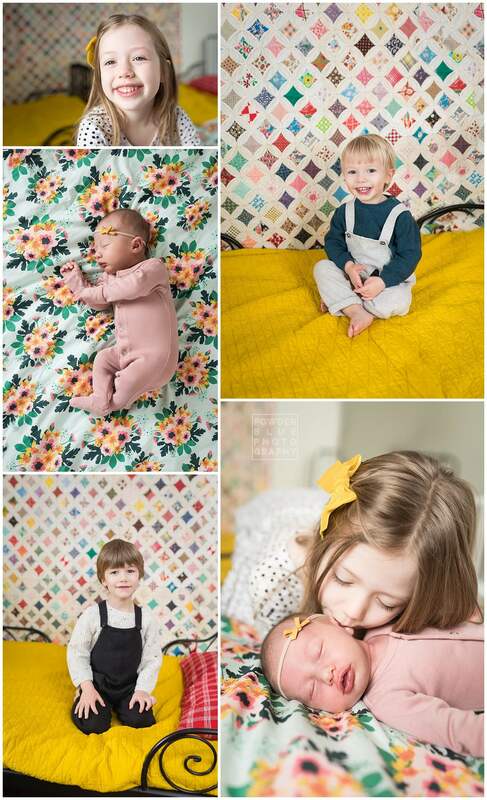 Missy – thank you so much for taking beautiful photos of Philippa. We were so happy and after everything we went through to get to this point it was nice to do something “normal” like newborn photos and have them document where she is in her life right now. She has come so far and we are so happy and blessed to have her in our life. 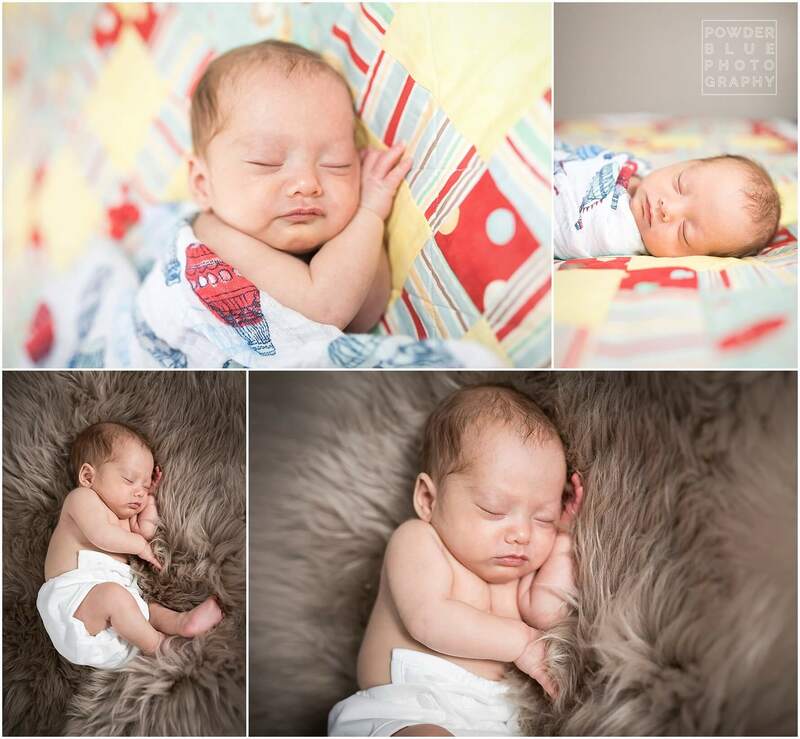 Missy Timko is the photographer behind Powder Blue Photography, a boutique photography studio located in Pittsburgh, PA. She specializes in newborns, maternity, families, seniors, and headshots. 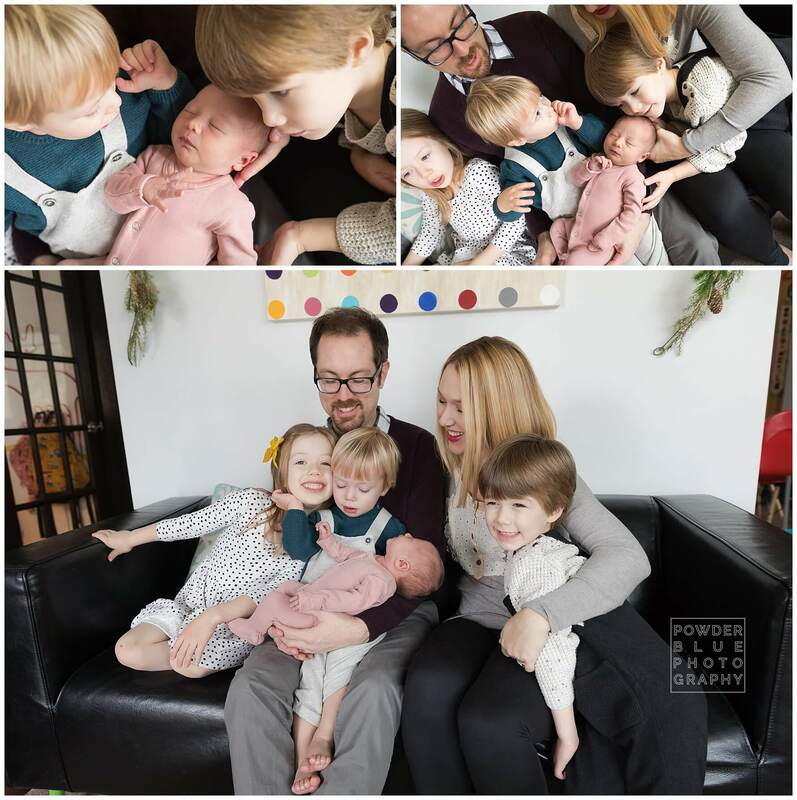 Missy’s style is simple, natural, and clean, a mix of slightly posed and lifestyle photography with beautiful natural backdrops, and Missy also runs a studio in the Point Breeze, Pittsburgh. There are many session options, from full-length custom sessions to little sessions, inside the studio or outside in a beautiful natural or urban location in Pittsburgh. Contact Missy for rates and availability. 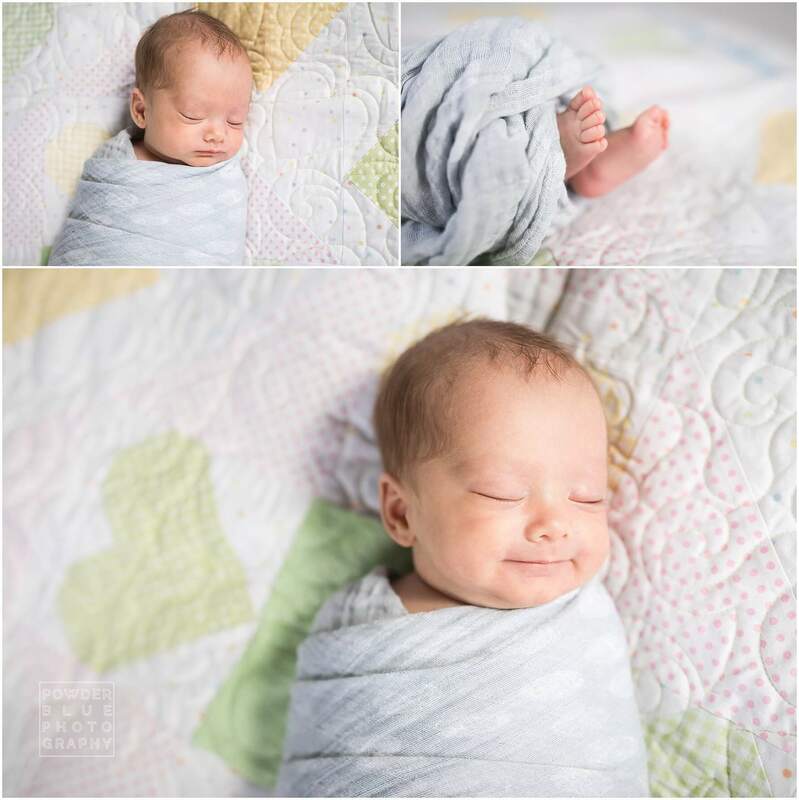 I was thrilled when my friend Tess called me up to schedule a newborn session. First of all, she (at the time) was mom of three of the most adorable kids you can imagine, plus she is an artist and has a great sense of style. She clearly had a vision for her shoot (lifestyle but not too candid, posed but not stiff or fake), which was right in line with the types of images I love shooting, so everything went great. 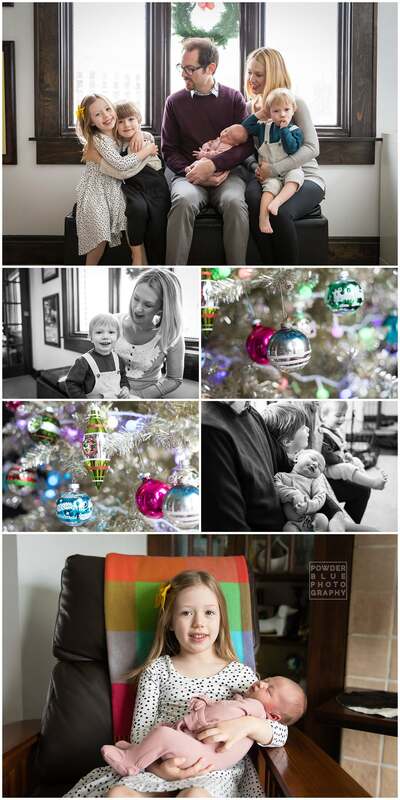 I’m including some of her words below describing this session as well as life as the mom of four kiddos. Baby Romy was born on December 2 at Magee in Pittsburgh, so we got to use moms cool/retro holiday decorations as a backdrop for some of these! Induced Dec 2nd at 39 weeks (the day after my birthday!) Easy & quick- 5.5 hrs start to finish which is about how long all 4 were. Still full of chaos and very loud…. but even more love and snuggling! Adding #4 hasn’t been too hard at all. Transition to #3 was hardest for us. Helps that we have relatively good sleepers all around. 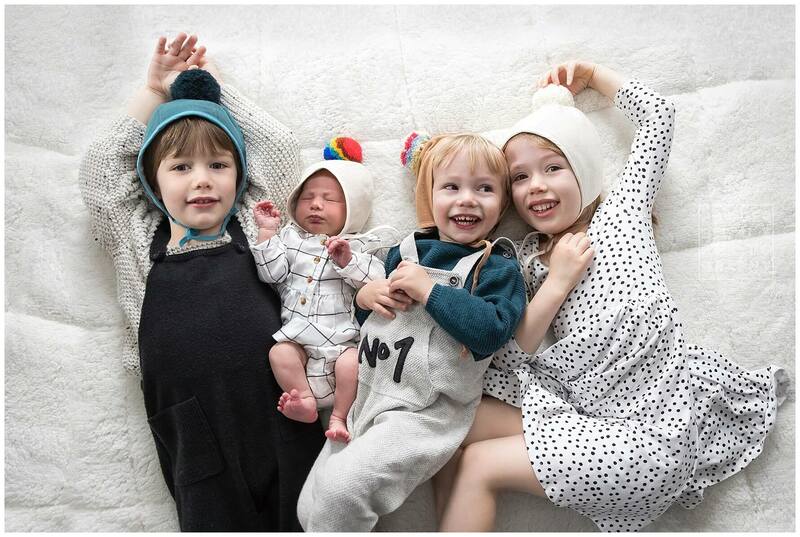 Pippa (6), Rex (4), Casper (2) – everyone is in love with her! 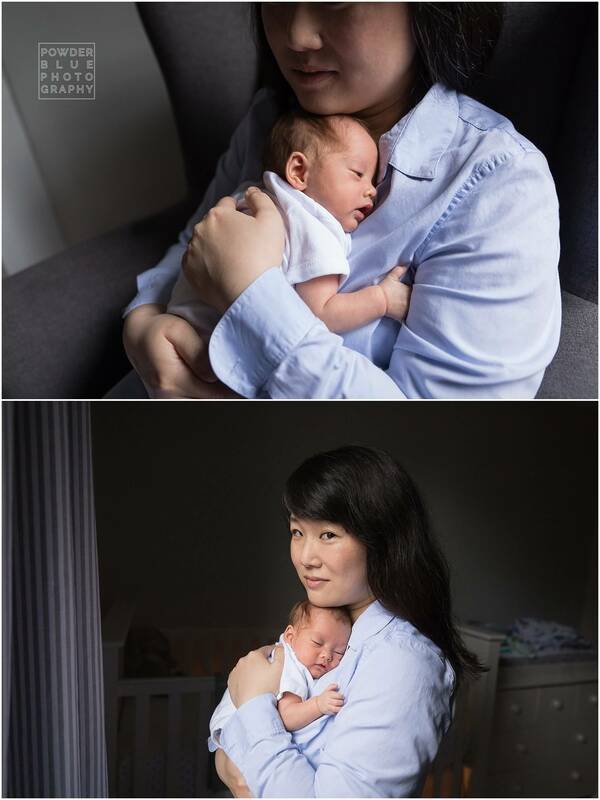 Even Casper who regularly asks to “hold baby?” -we were really worried with how he’d do since he’s still quite a momma’s boy and baby himself. Pippa is a huge helper! Summer- because of how much I love all of your work! 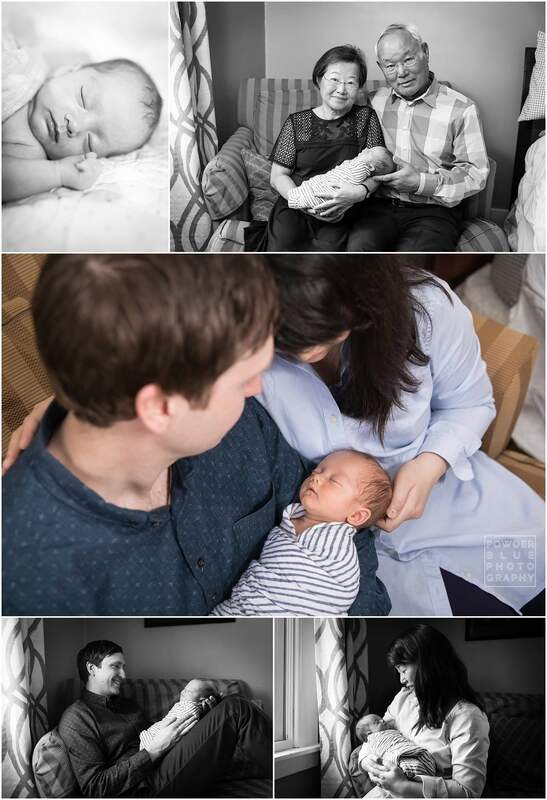 Last baby- important to commemorate “completing” our family even though we never really did newborn sessions for other kids. Kept an eye out for outfits as soon as we booked the session- coordinating 6 people is hard! Go with the flow! Several! 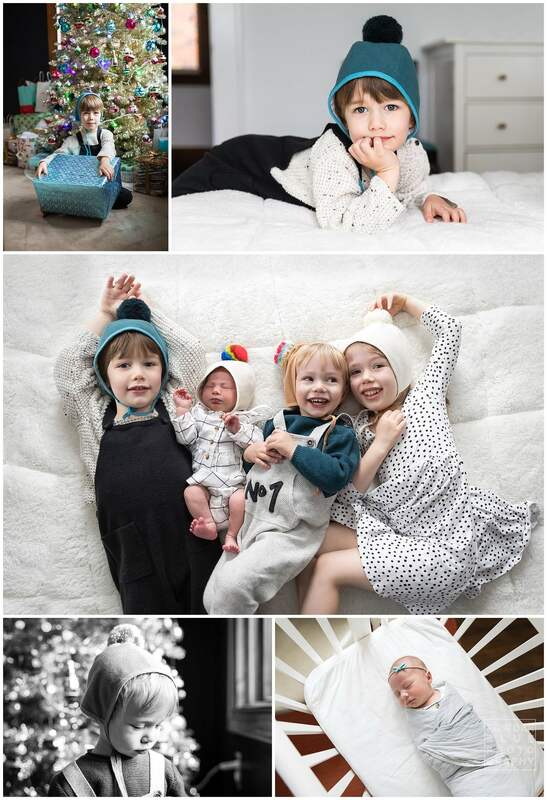 LOVED the pom bonnet images- fun and silly- full of personality! 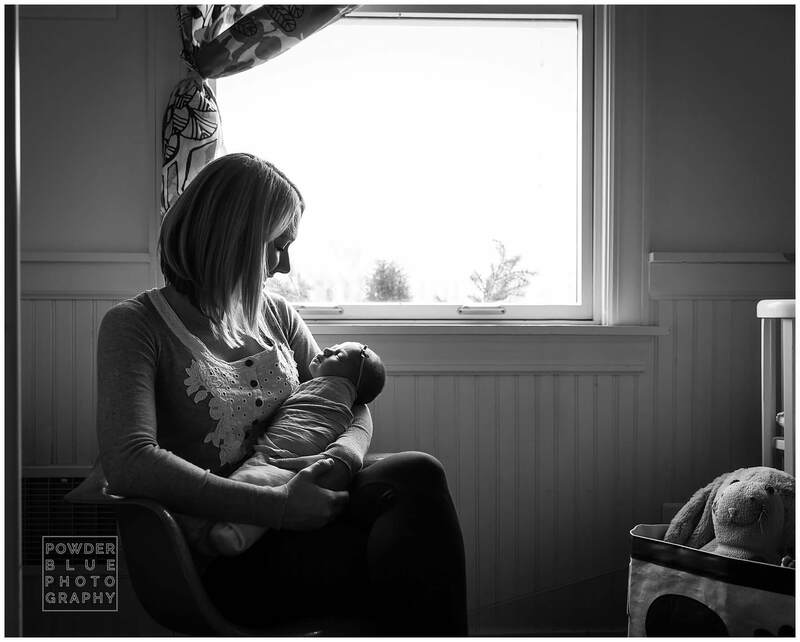 Loved the one of me with baby by the window in b&w- didn’t expect to since my goal was more of the whole family or the kids together. Mom also said… “Loved doing some of them in the kids’ room because of the quilt on the wall as background. It looks fantastic in the photos, but it is very sentimental! Was a wedding gift from my grandfather, made by my grandmother who was exceptionally talented but passed away when I was only 1. 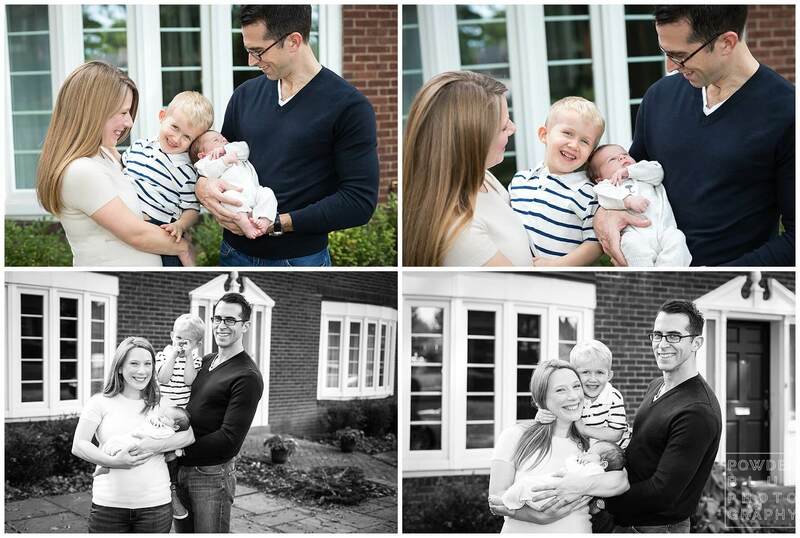 Love how well you nailed blending a ‘lifestyle’ feel with capturing group ‘posed’ images. Exactly what I was hoping for! 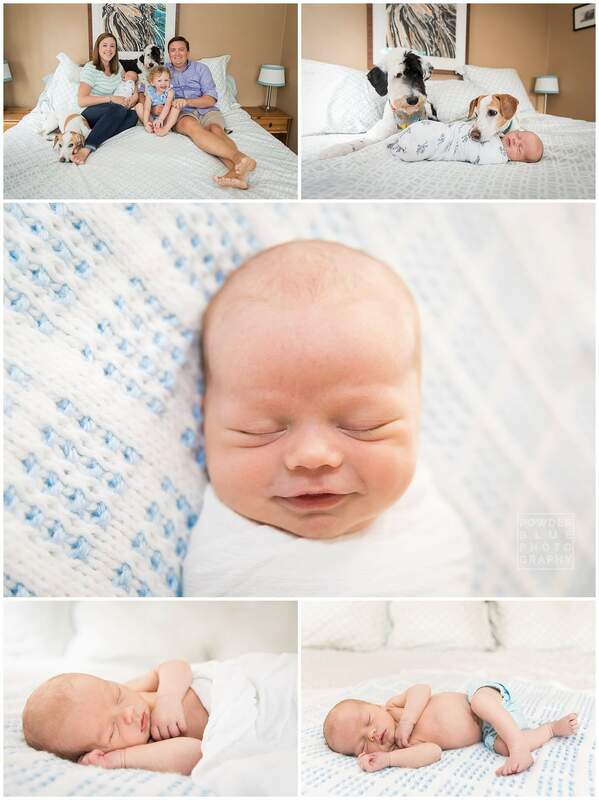 Missy Timko is the photographer behind Powder Blue Photography, a boutique photography studio located in Pittsburgh, PA. She specializes in newborns, maternity, families, seniors, and headshots. Missy’s style is simple, natural, and clean, a mix of slightly posed and lifestyle photography with beautiful natural backdrops, and Missy also runs a studio in the West End Village in Pittsburgh. There are many session options, from full-length custom sessions to little sessions, inside the studio or outside in a beautiful natural or urban location in Pittsburgh. Contact Missy for rates and availability. Connect with me on Facebook and Instagram! Baby Kat has the brightest, prettiest blue eyes! She was alert and calm for much of our time together and let me get these gorgeous photos of her sweet face near a window while she was still awake. She put her little hand under her chin all by herself, obviously camera ready. We even got a smile, suuuuuper cute. Mom and dad live in a home with lots of interesting details so I incorporated them into our shoot as much as possible, like this cool headboard and baby Kat’s adorable green and pink nursery. Sleepy girl dozed off toward the end and I got these peaceful shots. Such a sweetie. 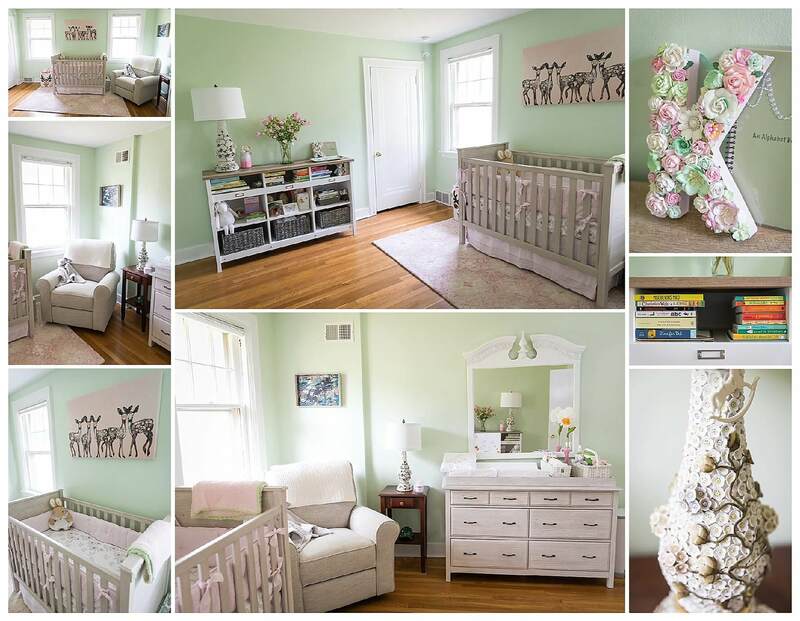 Mom designed baby Kat’s nursery around the vintage lamp featured in the bottom right picture. I love her crib!! Great meeting you baby Kat, so excited to watch you grow! ???? 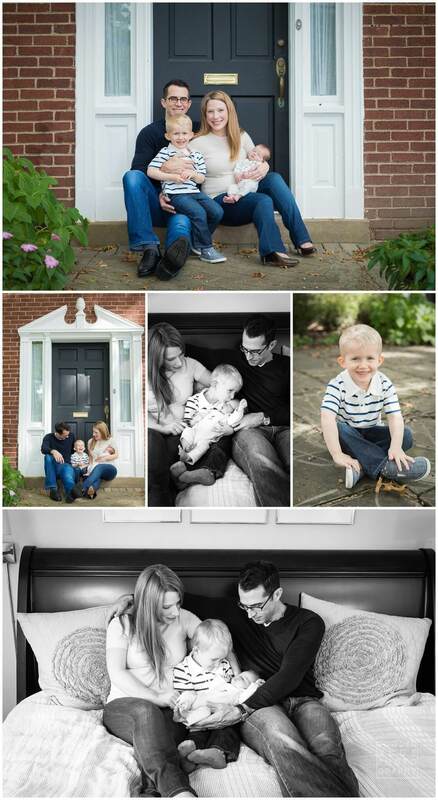 Are you looking for a maternity, newborn, family, or baby photographer in Pittsburgh? I would love to hear from you! 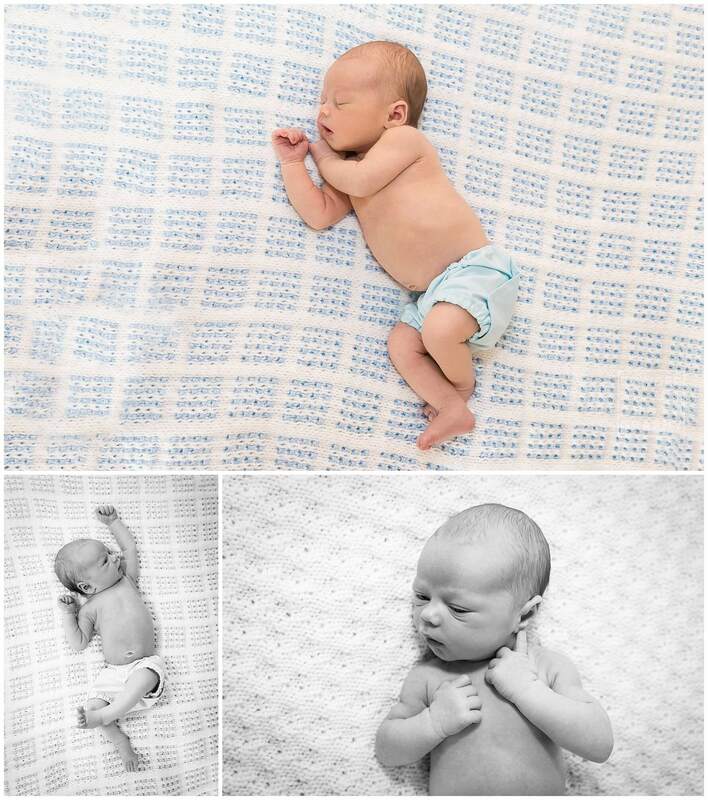 Powder Blue Photography offers in-home and studio portraits of newborn babies and maternity, and on location family portraits in and around the entire metro area of Pittsburgh, including the Point Breeze, Shadyside, Mt. Lebanon, and Upper St. Clair areas. All images © 2017 Missy Timko at Powder Blue Photography. Please contact Missy to schedule your session. 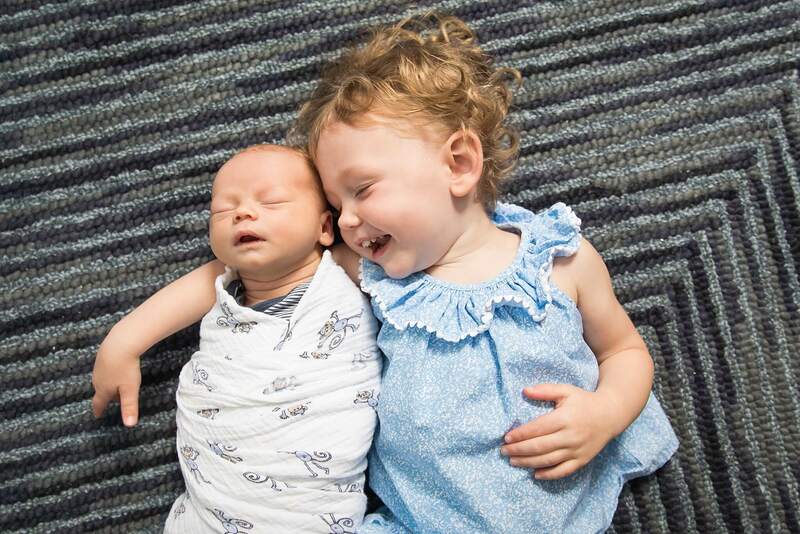 Baby Jackson joined big sister Anna Rose for this session at their Pittsburgh home. This little guy has the sweetest little face! Anna Rose said “I love you” to me during this session and it was the highlight of my year as a photographer. I really love the kids I work with and it means a lot to me when they seem to like me too!! Again with the dogs!! ???? Can’t wait to watch you grow baby Jackson! 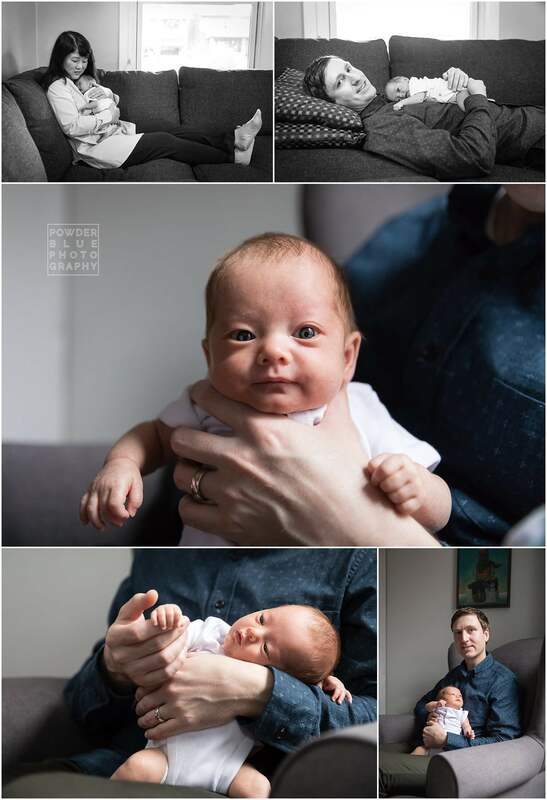 Baby William was born last month and joined big brother Avery for a newborn photography session at their family’s home in Point Breeze. 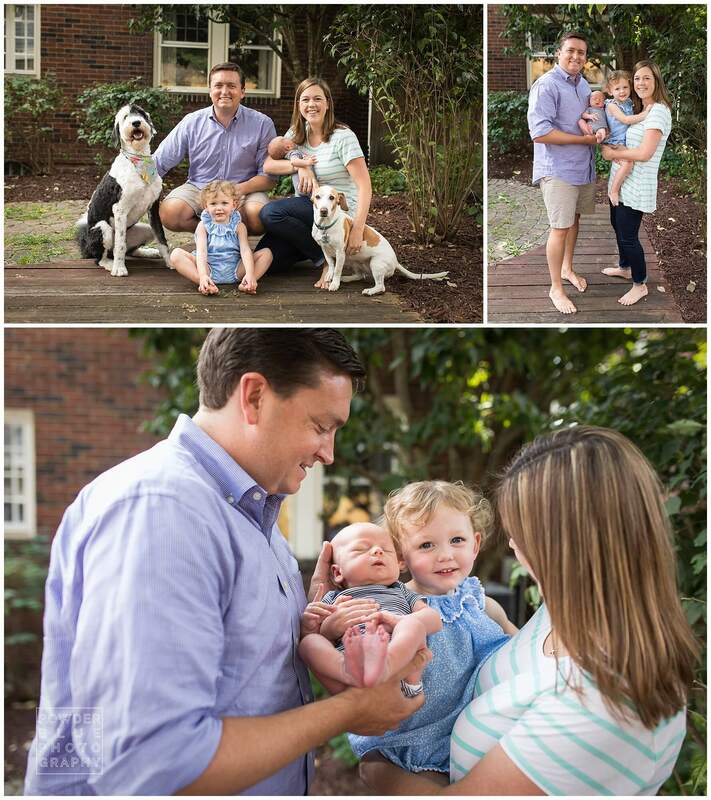 Something very special about this session is that it took place just a couple weeks before the family moved to a new home, so they will always have these memories of their adorable home (that they completely renovated in the loveliest of grey & white tones, my fave) in the city. Avery is such a smiley boy, he peeked out and smiled at me as soon as I walked in the door and I never saw him without a smile on his face, except when he was making dinosaur roars! Baby William snuggled sweetly on Avery and slept through most of the session. 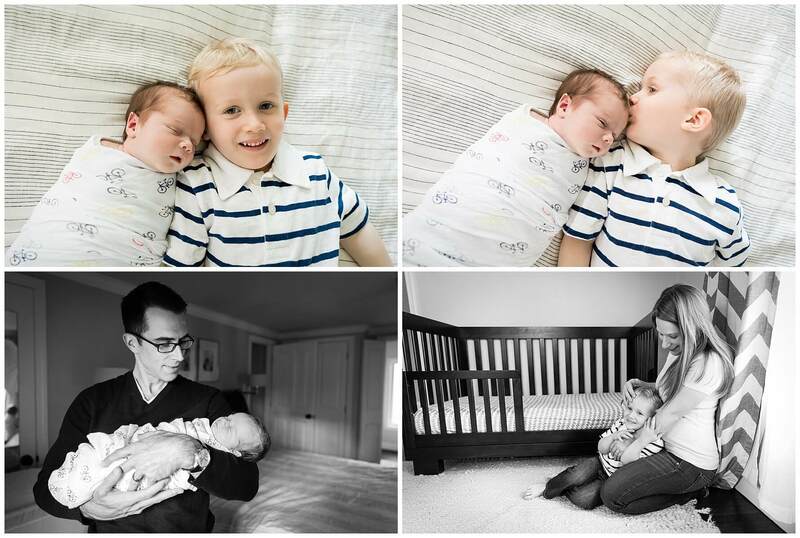 I usually structure a lifestyle newborn session with family/sibling photos first so that dad and/or siblings can participate for just a short time. The rest of the session is just mom & baby. 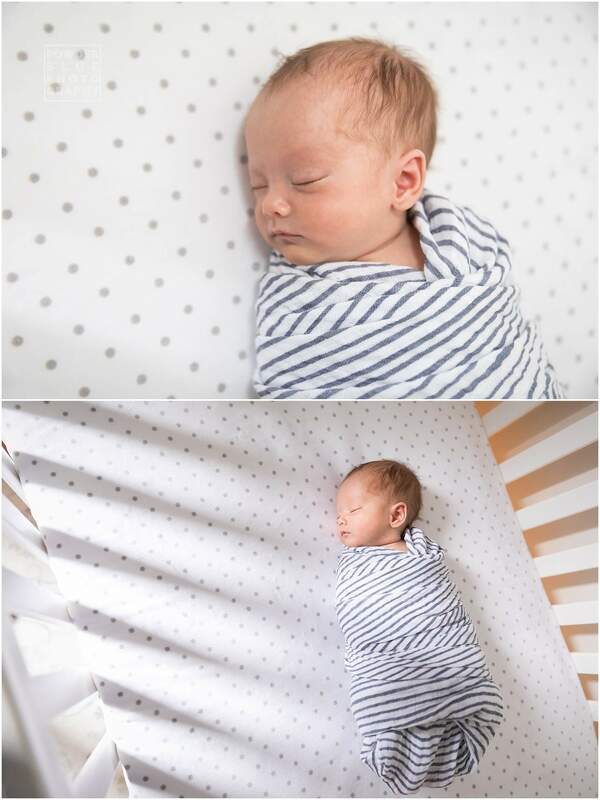 I always feel lucky to get both sleepy and awake photos of baby… sometimes they are so sleepy that it’s hard to get a photo of their eyes open. But every baby is so different! Congrats R family, thanks for inviting me to your (old) home, can’t wait to see the new place! Powder Blue Photography, Proudly powered by WordPress.